People apparently only do dangerous things in three ways: in fear, in ignorance, or in denial. Which one drives you? Probably denial. (Laughs) When you do something dangerous, there's a certain amount of denial that you have to have. 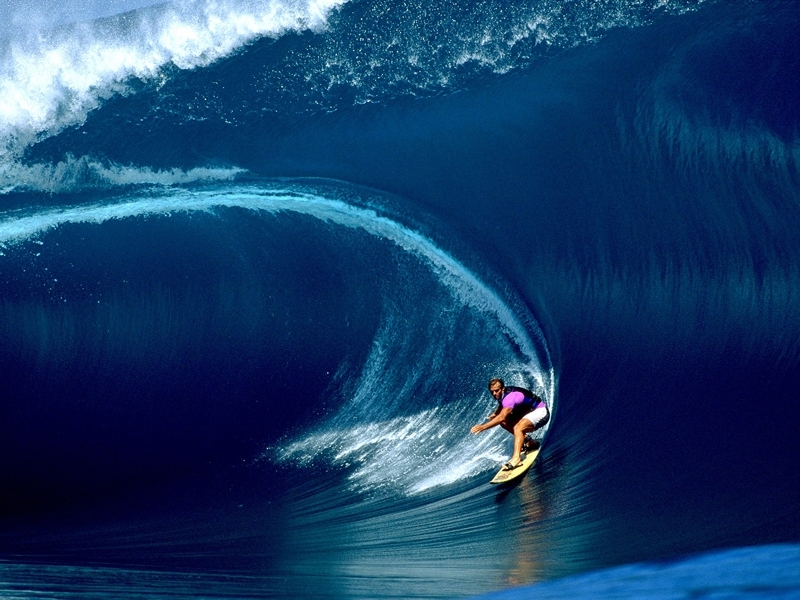 In a way, with big wave surfing you have to deny the ultimate consequence, because if you didn't, you might not do it. At the end of the day, there’s also always a certain amount of ignorance because you don't know every scenario; you don't know every possibility. That seems to be pretty consistent in areas where people are doing things that have a certain innate danger for fun. I think at this point, I might have to say that I probably have a fairly healthy level of all of them and that's what keeps me somewhat in balance. Well, I'm not needing to go out and do a bunch of things that scare me all the time, I don't have to go base jumping, I don’t have to go wing suit surfing, I don't have to go through all this stuff all the time until eventually the end is that you die. I have friends that have done that, I’ve watched people do that, and the final thing is that they die. I mean, we’re all going to die, but it seems that theirs may come a little sooner than it could have. It seems more like they're in the pursuit of adrenaline than they are in the pursuit of sensations and experiences. So that fear and adrenaline isn’t a motivating factor for you as a big wave surfer? There’s a certain aspect of fear that I'm attracted to, sure. I think it can be motivating at times but I don't know if it's the motivating factor. Fear is connected to reverence and respect, you know, there's always a level of fear that exists when you truly understand what's going on. That stuff is real, but it’s connected to reverence: it is constructed fear, it is healthy fear — that’s the stuff that keeps us alive. Fear keeps you safe — because if you were completely fearless, surfing these waves would be a much more dangerous situation. Exactly. I think there's a certain level of ignorance in fearlessness. If you're riding a giant wave and you're not a little bit scared, I think that you're not using your full capacity to think. You should be scared. Good math would tell you that you should be. At end of the day, that's just intelligence. At the same time, that fear makes it easy to label someone an adrenaline junkie because if I said to you that I do it for the heightened awareness and acute sensitivity… Then everybody would be doing it. Does it bother you when people write you off as an adrenaline junkie? Is there another time in your life outside of surfing where you get that same rush? Maybe if I'm swimming and I think a giant shark is coming! (Laughs) I don’t know if there’s exactly the same feeling… There are other versions, other exciting moments, whether it's helicopter snowboarding or another extreme sport, but it doesn't have so much experience in it, you know? 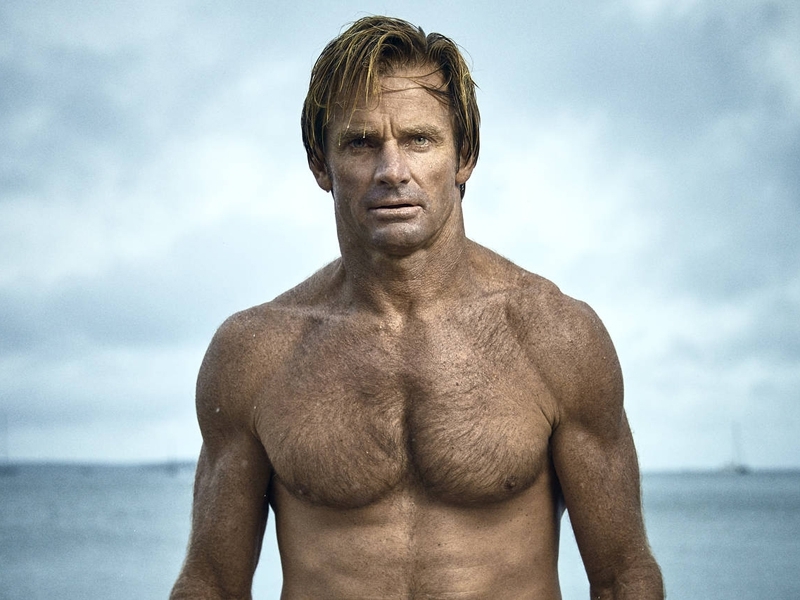 Whereas with wave riding and being in the ocean, I think I have so much accumulated knowledge and experience that it contributes to a more heightened sensation as well. But that danger is probably necessary in extreme sports, right? Would you be just as passionate about surfing if there was no risk involved? Probably not! (Laughs) I probably wouldn't be so attracted to it if there wasn't a certain level of risk, but you know, it goes back to some real primal simple emotions. When you’re surfing, it’s all about adrenaline, acute awareness. What do you mean by acute awareness? Every sense, and maybe a couple of them that you don't realize you have, is turned on. Everything’s on high alert, emotionally but also physically. Everything is at a maximum. The thought process is pretty clean, pretty pure. You get very focused on the job at hand, on the ride at hand. The descent is always thrilling, there's a certain level of excitement as you descend, and then there's a certain amount of fear that comes over you once you get to the bottom because you're in a position to take the brunt of it on your head if you make a mistake. And then when you come out the other side — relief? I would call it satisfaction; the ecstasy of completing it. We’ve lived these emotions; there's a reason why, we didn't just think this stuff up and then just start doing it. Like I said, this stuff is connected to some deep primal instincts that we’re not getting fulfilled because we're not having to run from predatory animals like we did for hundreds of thousands of years before. So now we have to make up new activities to fulfill those emotional needs. I think there's a level of it in every human… There is a certain something about the ever-present danger of death that makes living so great.